Tata Manza announces the five lucky winners of the ‘Driven by the Extraordinary campaign. 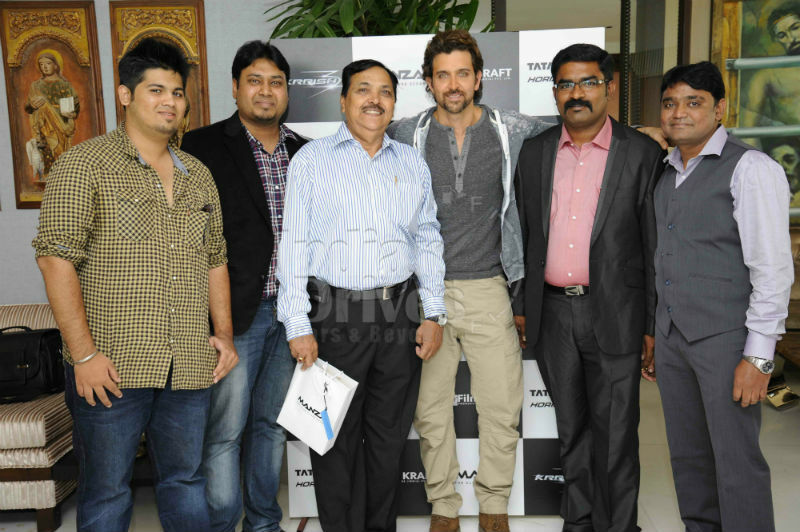 Mr. Pradeep Kumar Daniel from Secunderabad, Mr. Aniket Vilas Tamhane from Mumbai, Mr. Sandeep Kumar Pattanaik from Bhubhaneshwar, Mr. Rajkumar Dembla from Vadodara, and Mr. N R Rangaswamy from Bangalore, have bagged the golden opportunity to meet and interact with superstar, Hrithik Roshan. Rich interiors, tastefully adorned in Black and Plum enhance the luxurious ambience of the Tata Manza Club Class‘ best-in-class cabin space. Cutting-edge technology like the touchscreen multimedia navigation system are first-in-its-class. A new Infinity Contrast Roof and 8 split-spoke alloys add further class to the exteriors. These new additions have been further embellished in chrome, endowing the Tata Manza Club Class with a character which makes it stand apart.